I have been wanting to add a blog roll for some time now but just couldn’t figure out how I wanted to do it. For better or worse I am married to my current blog template and didn’t want to upset the general order of things. I loved having my “Books Read” lists down the left side so that anyone reading a post might catch glimpses of other books that might pique their interest. But who am I kidding it was probably just more to do with my reading vanity. (“Ooh, look at me, look at all the books I’ve read. Aren’t I impressive?”) But alas, the book rolls have had to move to their own pages. Just check out the “tabs” just under the header. I am still in the process of formatting these but they are there for your perusal. Another issue I have with blog rolls is that they can become unwieldy and often end up full of blogs that have been abandoned by their creators. I think I have solved that one by formatting the roll so that each time someone posts something their link automatically gets bumped up to the top of the list. Then of course there is the issue of forgetting to include one of your blog friends. (By the way I have taken referring to you all as “my blog friend Frances, or my blog friend Claire” etc. to my husband.) If you know I am a fan of yours, or you are a commenter on My Porch, or you just think I am missing out on something special, please email me and let me know I am missing your blog. Finally, there is the issue of how it will all look. I love the ability to include thumbnail pictures in the links, but it appears that Blogger doesn’t pick these up for all blog formats. So if you are wondering why your link doesn’t have a thumbnail you can blame it on Blogger. 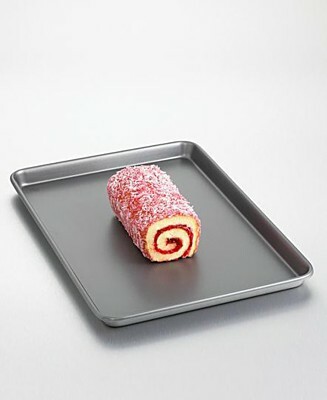 What are your thoughts on blog rolls? I know I have been booted off of a few. I think it is because I didn’t have a blog roll on My Porch and a few bloggers seemed to be really interested in page traffic. Well so am I, but if I cut you off of my blog roll, it won’t be because you don’t send traffic my way. It will be because I think you are lame. LOL. Sorry, I couldn’t resist saying that. I love having a blogroll because it is the only way I can keep track to revisit the blogs I like. It is also constantly changing. If I find I am visiting but not really reading a blog, I remove it. For the most part, I try to keep up with the blogs but I don't always comment. In theory, I like the idea of a blogroll, but it didn't work so well for me in practice. I'm constantly adding new blogs and failing to update the blogroll. I've instead decided to become a “follower” of those blogs I'd put on my blogroll, and if you follow publicly, people can track what you follow. However, I stay up-to-date with my blogs via Google Reader, which I can't show to other people. Sigh. I love the idea of formatting the roll so that the most up to date appeals at the top! I like them but then I worry I have missed someone off, or something like that. I also forget to update mine and I REALLY should, maybe thats a task for next weekend I think! I like blogrolls, as they help me find great new blogs I wouldn't have found otherwise. It's a way of building a community. I follow many more blogs than I have in my blogroll, though – if I listed them all it would be ridiculous! I take some off and add others from time to time as my mood changes and my reading preferences change. I don't expect someone I've got on my blogroll to add me to theirs. I enjoy finding new blogs through other blog rolls so I think they are great! I like seeing what other people are reading, so I like the blog roll concept. I try to keep mine up-to-date — with blogs I like, not as a “roll-for-a-roll” kind of thing. Just like I don't really follow the “follow-for-a-follow” or “comment-for-a-comment” – I roll, follow or comment on blogs that I like and want to read or have something to say on, not to generate traffic to my own. I add people to my blog roll if they ask, and update the list once a year, after I return from the August break. If they haven't updated their blogs in at least six months, off they go. Now, of course, I have to double-check to make sure you're on mine! I love blog rolls. I discovered your blog on some other bloggers blog roll! I love your lists of books! Blog rolls appeal to my naturally voyeuristic soul – I love to find out what other people are reading, whether it be a book or a blog. Most of the blogs I follow now I found through other people's blog rolls. Completely agree that maintaining a blog roll is rather tiresome though – I know my own is rather out of date. You inspired me to make some tabs of lists and add to my blog roll. I have found lots of good blogs through other people's blog rolls. Seems like I have more “style” blogs currently than any others. I also like the formatting idea so that upto date ones appear on top. Its easy for those who want to link and go visit. I don't have a blog roll because I don't know how I coould keep the list short without forgetting to include some of the blogs I love. I don't want to disappoint anyone. There I blogs I visit regularly as in every day (except the last couple of weeks, because I've been incredibly busy) and blogs I vist every 3 days or once a week, but that doesn't mean I don't respect the latter blogs. I like the idea of a blogroll because it stimulated a community feeling, but at the same time I don't think I could keep it updated all the time. I like the feature of blogger in which the most recent posts appear on top of the blogroll, but I don't think it's possible with wordpress. Amy: You should try Google reader. It lets you keep track of all the blogs you like to visit and it shows which ones have been updated since your last visit. Bibliolatrist: None of the platforms quite do everything one wants do they? I feel the same way about Blogger. Somehings are great but then other times I like wordpress better. Verity: It certainly helps keeping track of the blogs that go dark. Simon: I like them too. I wouldn't have such a long one if it weren't for raiding other blogrolls. Booksnob: At this point all of the blogs I follow are in my blog roll. I may have to revisit that at some point. Georgia: Sometimes their bounty is almost too much. Kerry: Some bloggers do have that attitude though. Tiffany: You are more generous than I am. I booted them at one month. Hannah: Where ever you start it won't take long for you to fill it up. You are a voracious blog reader (and commenter). AnswerGirl: Wow, you allow six months. Generous. Amanda: And I found yours the same way. I have always loved a blog roll, I just wasn't sure how to work it into my set up. And then I felt like I was cheating, living off the fruits of everyone else's labor. Claire: I have the same voyeuristic tendencies. M. Denise C.: Oddly enough inspired myself to make few lists as well. I have two ideas up my sleeve that I hope to get to soon. Mystica: Yes, I think it will come in handy. Iris: I didn't even try and keep mine short. But I may have to rethink that. Oh, thank you. As a “consumer” and not a “producer” in the blog world, I love blog rolls because it helps me find more book bloggers with similar tastes. I esp. like the update feature because I haven't taken the time to figure out how to do the google reader thing. How's the reading slump coming, btw? I like using blogrolls, and looking at ones on other people's blogs. But you're right, they can be tricky to manage and keep up with. I am about to be the lamest blogger of all. It's barely twenty four hours since you added me to your blogroll, and I'm abandoning the old site! The Treacle Well is moving to http://modernmuchness.com/treaclewell/. My blogger site is still up and running, but I'll begin redirecting traffic early next week. All hassles aside, I'm excited about the added flexibility of having my own domain. I'm also in the process of building my own blogroll so I'll be checking back here for everyone's comments and suggestions for long-term management. I love them, though don't call them that, because of the pun… I keep mine updated fairly frequently, and change around what's on it, because I use it primarily as links for myself to use, and didn't want it to get too unwieldy. I think it's fab that you've got one now, but I'll have to keep checking the books-read tabs for inspirations! I like blog rolls, too, and love the feature of having the most recent posts at the top. I thought all the blogs I “follow” appear automatically, but just realized that isn't the case…. I have some work to do!! Always interesting looking someone's list of favorite blogs, clicking on some, then on some of THEIR favs, etc,; Semi-directed websurfing in the old sense of the word. (Thank goodness that they invented tabbed browsers!) On the other hand, whenever I start to explore a new chunk of the blogosphere I find I have to look at piles of blogs before I disover the dozen or so that I want to bookmark, or the three or four that I might actually keep up with. I took off my blogroll because it kept getting out of date, even though in theory I really love blogrolls. I compromised by adding a Google Reader widget to my sidebar that includes all posts that I mark as share. That way people can see what I'm reading, it stays pretty updated, and it connects with what i'm already doing in Google Reader. It's not perfect, but it's been a compromise that so far works for me. I briefly considered having a blogroll, but decided against it, because I knew I wouldn't use it. Instead I list the book blogs that I subscribe to in my private blog feed in the sidebar of my blog, not for myself but as a list of recommendations for visitors to my blog who are looking for similar blogs. I love reading blog rolls – especially ones like yours, where I can see what the person is writing about – but I am too lazy to update one of my own. I keep track of blogs in Google Reader and by Following, so I don't need a roll for my own use. I use my blog roll primarily as a way of keeping up with the bloggers I most enjoy reading. My problem is that the list can get quickly get unwieldly because I'm constantly finding new blogs by clicking through from a blog roll! I had a blog roll, but it was getting so far out of hand, I did away with it and I have a HUGE list of people in my feed reader. I should probably add a separate page, but I'm also bad at updating. Thomas…those new book additions look wonderful; can't wait to see the color plates in the R. West one. Susan: The reading slump is over. I will be posting a review of the book that broke the logjam soon. The Dormouse: I will make sure I update it. Thanks for telling me. Simon T: Major changes going on in my books read tabs. Stay tuned. JoAnn: The Follow button is good, but it is only so helpful. And is no good for non-Blogger sites. music-books-steve: There is a lot of chaff with the wheat. Kim: Interesting approach even if it isn't perfect. Bibliophile: I didn't know that was possible until all of you started commenting. If the blog roll thing gets too annoying I may have to consider doing that. Claire: Some people just aren't very observant. Lorin: It certainly saves time to be able to glance at the new posts all in one place. Good for making decisions. Marianna: Even with my blog roll I still find it easier to keep up with other blogs with Google Reader. Andi: My feed reader has even more on it than my blog roll. Good thing it keeps track of new posts or I would be in deep trouble trying to keep up. Diane: Of course you made the cut! Well I'm flouncing off because I'm not on your blog roll;-) Just kidding. If anything, reading is non-competitive and the best reading blogs are the same. Vintage Reading: I have rectified the oversight and you are on the blog roll. And I agree about non-competitive sites being best. I like blog rolls but not for the obvious reason. I like them, because when I see them on other blogs, it's gives me a better feel of the blogger as a whole. A person's blog roll is a very personal thing. It can tell you a lot about a person. Therefore, I support them. I shamelessly copied your book roll. I don't think of it as pretentious. In fact, I mostly do it so I can keep track of what I've read. I guess I need to link my reviews to them, but I've enjoyed it. I also have a (small) blog roll, but yes, I forget to update it as I find new bloggers. Darn. Always something. Wow, I am so glad to find I am here and therefore not considered lame! Thanks a bunch! I'm afraid I'm not good about keeping up my blog roll, and there are many blogs I keep an eye on that aren't on my roll … I don't use my roll as a means of keeping an eye on blogs; and on other blogs it is often the a blogger's comment that sends me off to read their blog rather than their listing on a blog roll because on the roll you can't tell what's active or what the specific interest is. Your method here solves both these! Ti: A blogroll certainly does help one flesh out a blogger's personality. Picky Girl: I am glad I could inspire. I love you artwork by the the way. Whispering Gums: I may have cracked the blog roll conundrum.